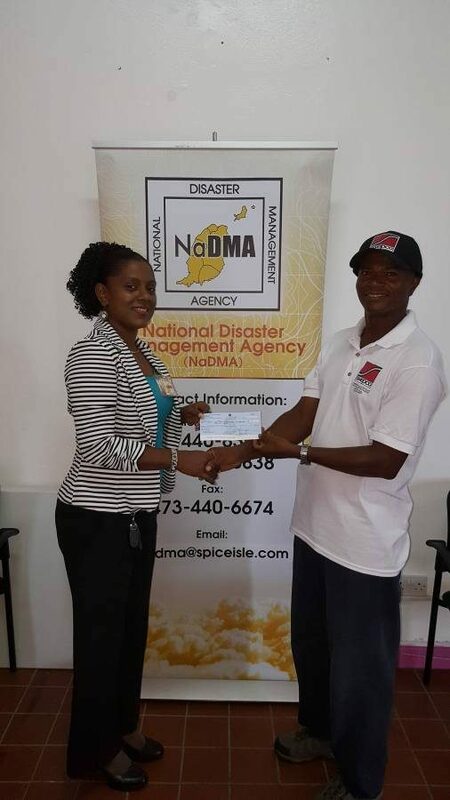 The National Disaster Management Agency (NaDMA) on Monday was the recipient of EC$5,700 in donations towards the relief effort. 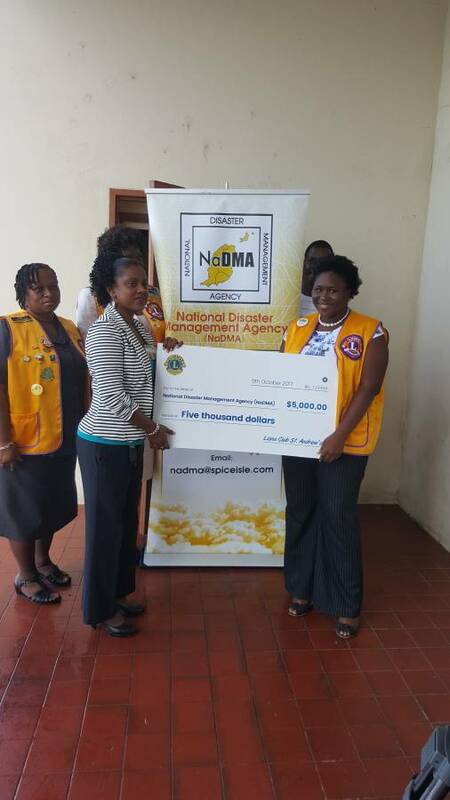 The Lion’s Club of St Andrew presented EC$5,000 and a 2nd presentation of EC$700 from local company SWEPCO (South Western Petroleum Corporation) were received by Acting National Disaster Co-ordinator, Samantha Dickson at NaDMA’s headquarters in Fort Fredrick, St George. In making the presentation PRO of the Lion’s Club of St Andrew, Martha Joseph said the donation of $5000 was in addition to over $20,000 worth of food and essential items already donated to the relief effort. According to Joseph, the money was raised through a successful relief drive held on 30 September in St Andrew. The second presentation was made by Emond Lewis Mitchell of local company SWEPCO located in Gouyave St. John. Mitchell said the company saw it as a need to answer the call for help from the many families and lives displaced by the hurricanes. In receiving both timely donations, Dickson extended a heartfelt thank you, saying that with the relief effort being a continuous exercise these donations will go a long way in returning the affected countries to a state of normalcy. The donations will be deposited into the Government of Grenada’s Natural Disaster Relief Fund at the Grenada Cooperative Bank.